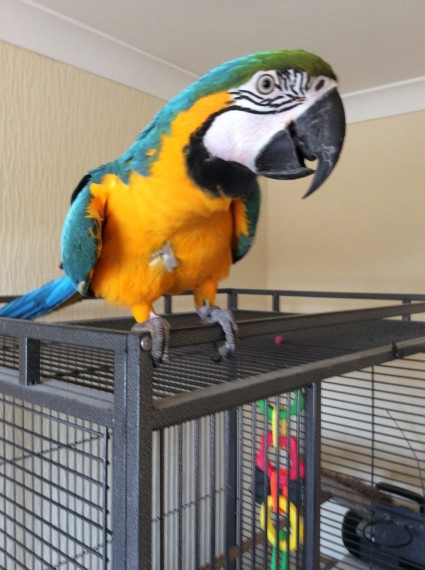 Our macaw needs a loving home. He has been in our family since a baby and he is now just 2 years old . Due to a change of circumstances his owner can no longer look after him so he has been at my home on a temporary basis. Because of this he has started to pull some feathers out as he misses the attention of his owner. He is not dna tested and there are no papers . He is starting to talk .He is used to going to both males and females but only if he knows them .